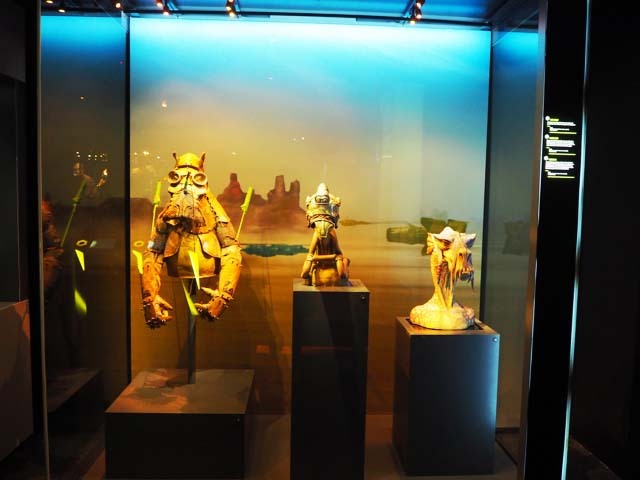 STAR WARS™ Identities is the Powerhouse Museum’s latest exhibition. We checked out this great exhibition on opening weekend and were spoilt with characters at the entrance of the museum and exhibition. STAR WARS™ Identities will take you on a journey to explore the world of STAR WARS™ and your true STAR WARS™ Identity along the way. The exhibition will let you choose and customise a character that matches your personality and will let you decide if you will join the dark force or not. Visitors are invited to grab an ear piece and a bracelet upon entry to interact with the exhibition. The ear piece will let you hear all the commentaries about the STAR WARS™ movies, characters and mini movies on display. The bracelet will let you choose a character upon entry and will enable you to build up your character throughout the different selection booths and will let you see your final character at the end of the exhibition. Little Miss loved this exhibition. Her and her dad were massive fans of the STAR WARS™ Identities interactive booths and building up their character along the exhibition and also enjoyed watching the mini movies. Little Mister and I on the other hand were happy selecting our character at first but were intrigued by the STAR WARS™ costumes, props, models and artworks, watching little movie clips and checking out Darth Vader and the gift shop ha! STAR WARS™ fans will of course love this exhibition but even little Miss and her brother enjoyed all that was on offer even though they were not familiar with the movies. Little Miss now wants to watch the movie and collect the characters. Even though my husband and I have watched most STAR WARS™ movies, there is still a great deal we didn’t know about the enterprise and so it was a great to visit this exhibition and share it with our children. Did you know that when the creators were deciding on the Yoda character, they wanted someone with wisdom and therefore took inspiration from Albert Einstein. We all really enjoyed STAR WARS™ Identities, it is a very interactive and family friendly exhibition and highly recommend it. Maybe something to do during the school holidays. Entry to the exhibition will also allow you access to the rest of the Powerhouse Museum. Checkout the Wiggles exhibition while you’re there (our review here). Busy City Kids were invited to the STAR WARS™ Identities exhibit for the purposes of a review. All opinions & feedback are genuine & truthful. Food and travel were self funded. 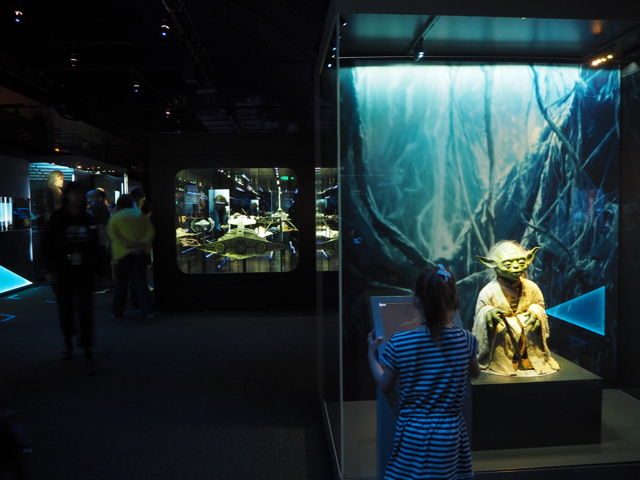 For more information on STAR WARS Identities: The Exhibition, head to the Powerhouse Museum's website.